Your company’s sole purpose is helping customers. Without them, you wouldn’t have a company! Shocking, right? It’s pretty self-explanatory why thanking your customers is a good idea. Can you think of a time when you were a customer, and had a bad experience because of the company’s employees? Just this week LTW’s president, John Lanphear, told the entire company about a poor customer experience he had with a vendor salesperson. Don’t be the kind of person that is talked about in a negative way at meetings. 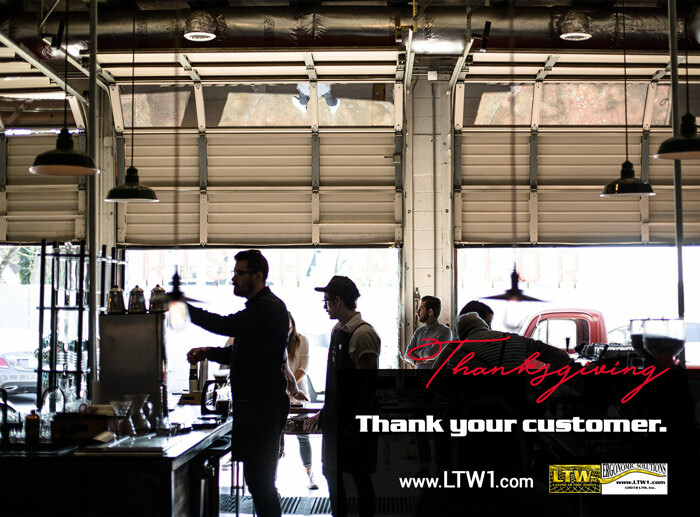 Send your customers holiday treats (such as cookies or company gear), thanking them for their business in the past year. If an order has any unexpected delays, let the customer know and thank them for their patience. For them it’s often better to experience a delay that was foreseen and explained to them. Back-and-forth correspondence about orders with customers can take a lot of their valuable time – thank them for their time. Let them know their time spent with you is appreciated. What are your thoughts? Do you have any other suggestions on how to thank customers? Let us know by sharing on social media!